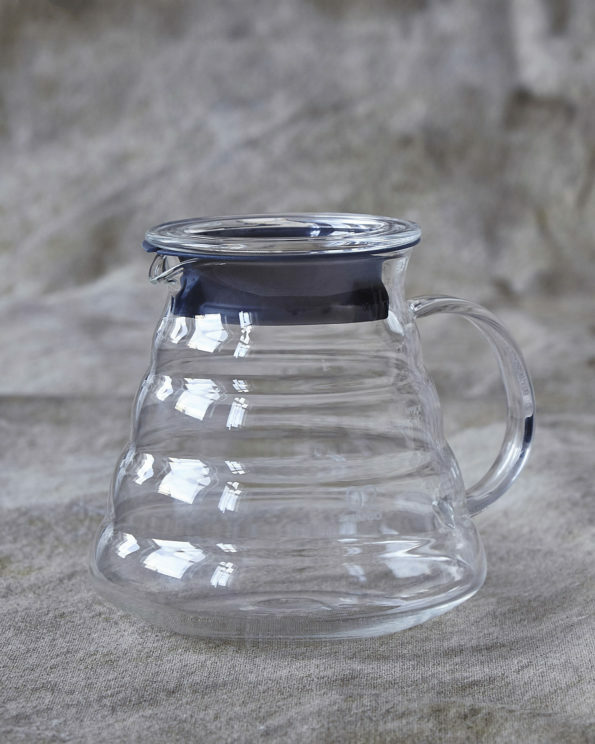 This glass jug delivers outstanding coffee at home, with great balance for pouring and a rubber lid for good heat retention after brewing. Holds 600ml of coffee. 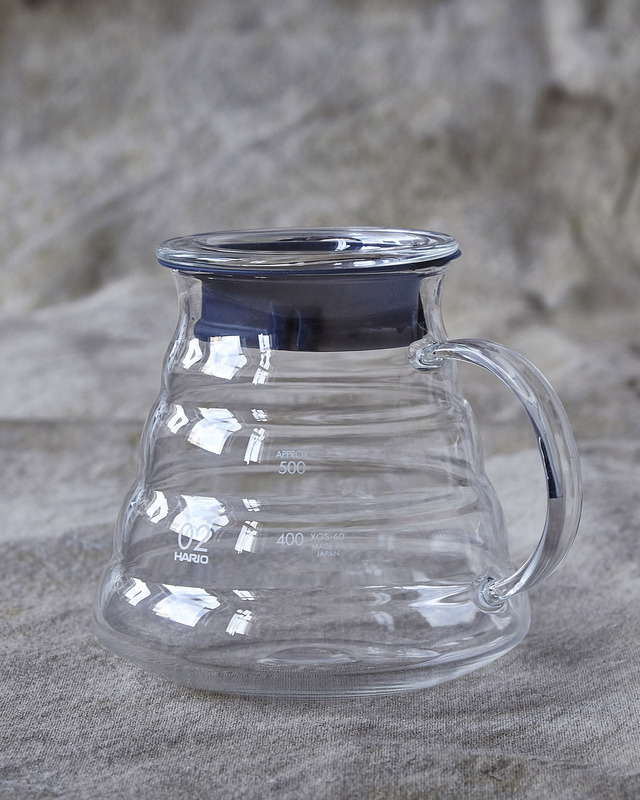 Use with any V60 dripper; the steel and copper ones work very well.